My 7 year old was talking to me yesterday about bucket fillers and bucket dippers. If you haven’t heard of that before, bucket fillers are the things, activities and people that make you happy. They fill your bucket with joy! Then of course, bucket dippers are the opposite…those things, activities and people that steal your joy and bring you down. While it’s sometimes out of our control how our bucket is dipped (PMS I’m looking at you), it dawned on me that we have the power to pick and choose how our bucket gets filled each day. 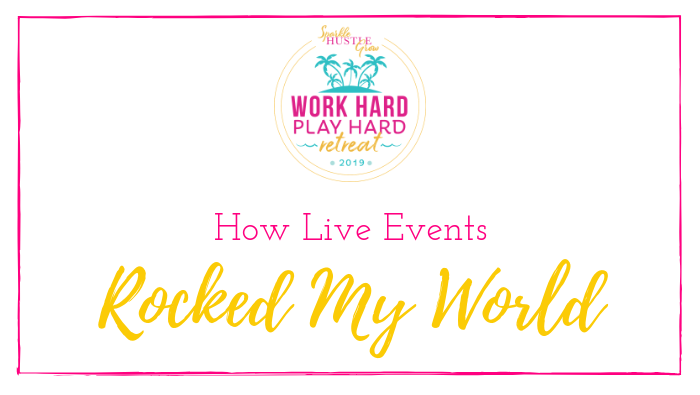 And I know that live events fill my bucket in a BIG way – both personally and professionally. In the last email, we talked about how events can be game-changers. I’d like to share some stories of how in-person events rocked our world here at SHG Headquarters. Let’s take it all the way back to late 2016 when we were just getting our feet wet and sending our first SHG boxes. Hitting a milestone of 100 subscribers by the end of 2016 was my goal and I hit it just a day or two early. I felt like this was a number that validated my idea and gave me motivation to keep going. 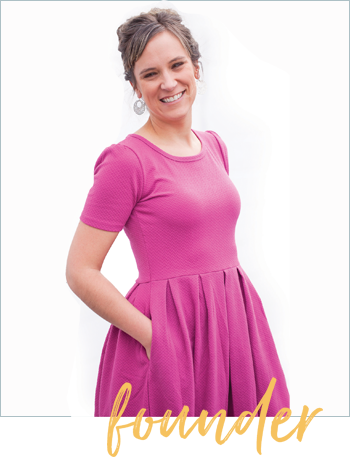 In that second month of shipping, I went to Christy Wright’s Business Boutique event in Nashville, where I gained visibility as a marketplace vendor in front of 3,000 of my ideal target customer. 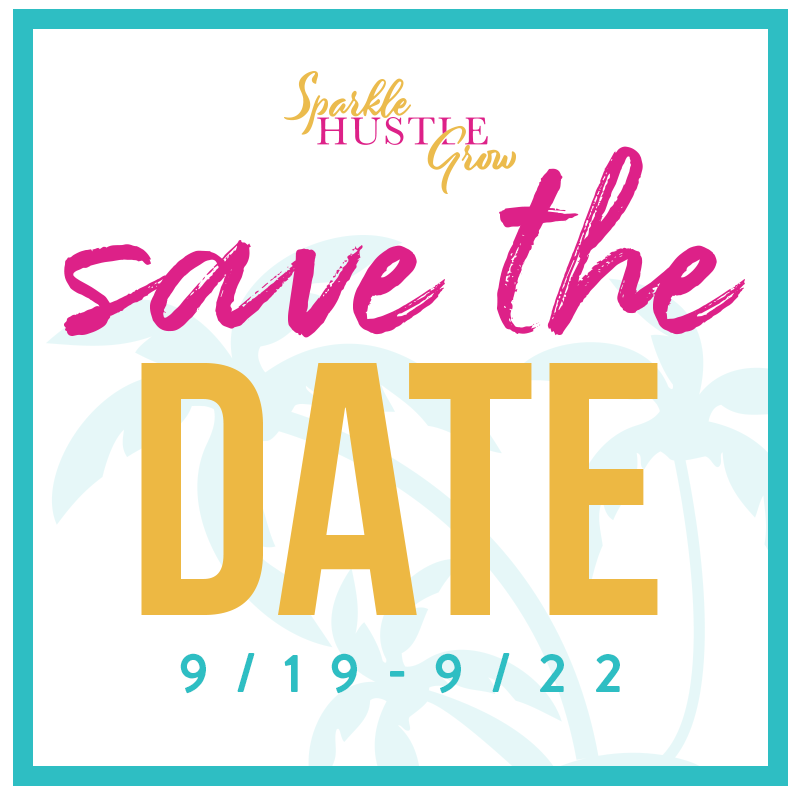 I polished up my elevator pitch, sold inventory and it was also an opportunity to get Sparkle Hustle Grow into the hands of influencers (the speakers!) Two years later, this event continues to pay off with customers and relationships built from it. Two months later, I attended the Boss Mom Retreat in San Diego, which was a big investment but turned out to be a game-changer for me. It was a small conference filled with other mom entrepreneurs who were able to help validate my idea, help me make improvements and support me as customers. To this date, the Boss Moms group in general, has provided me with so much value from sales to collaborations. At the second Boss Mom retreat, I was a facilitator, which put me in a leadership role, not only leading the conversation at my table, but also presenting a small group workshop on product based businesses. I also had a table set up in the marketplace area of the event, allowing me to make sales and get my product in front of my target audience. At the third and most recent Boss Mom retreat, I connected with so many colleagues and customers, that it almost felt like a reunion! The relationships began to run deeper. I made sales, booked podcast interviews and got to meet one of my mentors (Amy Porterfield) at that event. Lastly, in 2018, I was asked to speak at the Sub Summit, the only event for subscription box businesses. At that event, I was moved by how many people were actually interested in what I had to say. It was a big mindset shift and before I left that event in Denver CO, I made my largest business investment to date by enrolling in a course on how to create online courses so that I could start my group coaching program, Subscription Box Bootcamp. SBB has been filling my bucket on so many levels including pulling my family out of debt. Seeing how much of an impact that events made for Sparkle Hustle Grow in the past few years made me realize that I need to provide that same opportunity for others! So that’s why we are hosting our retreat at an all-inclusive resort. That’s why we are having a day of learning and a day or doing. That’s why there will be a private pool party with a taco + guac bar. And that’s why YOU should come! Go to https://www.sparklehustlegrow.com/retreat for all the details!